Cau Giay – an urban district of Hanoi, the capital city of Vietnam – is now being considered as one of the most developing and prospect points of the city. It has an area of 12.04 kilometer square and a population of about 239,000 people (2010). The district is divided into eight wards including Dich Vong, Dich Vong Hau, Mai Dich, Nghia Do, Nghia Tan, Quan Hoa, Trung Hoa and Yen Hoa. Cau Giay area was established in accordance with resolution 74 CP of November 21st, 1996 of Vietnamese government. It is located in the west of Hanoi and shares border with Tay Ho district to the North, Dong Da and Ba Dinh district to the East, Thanh Xuan district to the South and Tu Liem district to the West. It lies along highway 32A which connects Ha Noi – Son Tay, Beltway 3 from Hanoi to Noi Bai International Airport, 6 kilometer from the city center to the North, one of the first developed areas of the city. Geographically, Cau Giay is assessed as an advantageous intersection which connects important parts of the city with developing outskirt areas. From a riverside land, mainly agricultural production, weak economy, poor infrastructure in the past; Cau Giay is now an inner urban district with more and more modern urban infrastructure. 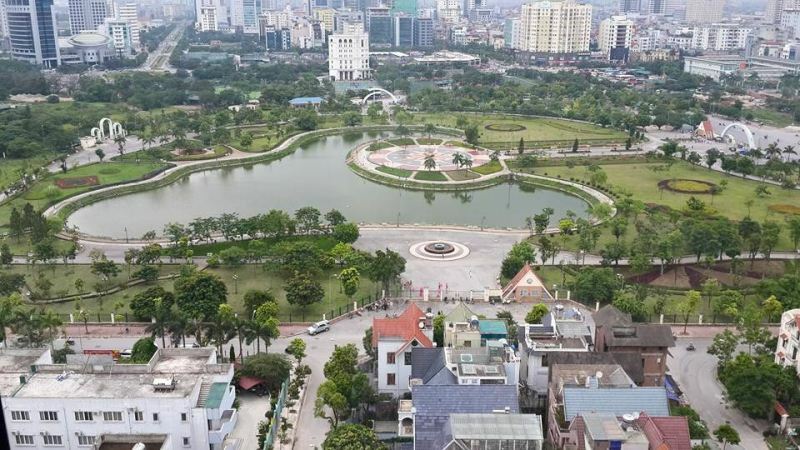 Trung Hoa – Nhan Chinh new urban area: The borough comprises the Trung Hoa ward of Cau Giay District and Nhan Chinh ward of Thanh Xuan District, is sometimes referred to as the local "Koreatown" of Hanoi, with its significant Korean population. According to the Do Thi e-magazine, the borough was Hanoi's most desirable urban area in 2008. 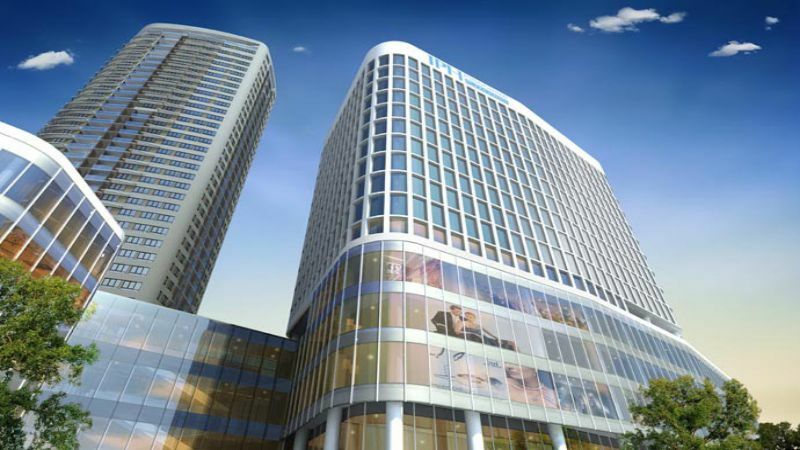 Indochina Plaza Hanoi (IPH): IPH is developed by Indochina Land, the leading premier developer in Vietnam. This development has won 5 regional prestigious awards for its outstanding interior design and architecture. Madarin Garden: Mandarin Garden apartment is located on the "golden land" on Hoang Minh Giam Street, with complexes of urban areas and Southeast Tran Duy Hung, Trung Hoa Nhan Chinh, vibrant area of ​​Hanoi city today. EuroWindow MultiComplex: The project consists of 25 stories, 3 underground floors and 2 technical ones on a total area of 3962 square meters on No. 22, Tran Duy Hung Street, Trung Hoa Ward, is expected to serve as a bridge between antique streets and the new modern administrative center of Hanoi Capital, where the harmonious natural landscape dotted with branch offices of well-known banks and other financial institutions creates a civilized community. Richland Southern: Its design based on the selective exquisite architecture of New York in the 30s of last century, the apartment was judged to be an ideal area from 90 to 120 meter square, modern functional layout cozy, contributed section honoring, preserving the beauty of the capital city of Hanoi. The special advantages of this combination is that it does not allow commercial business, operating offices and production project site; which brings the extremely quiet living space and extremely safe for residents. Discovery Complex: This complex is hoped to form the "highlight of Cau Giay district." With the idea of ​​two towers two candles symbolize, diffuse light at night, plus the meticulous care little, Discovery Complex will make sure the project is attracting a lot of interest from customers as well as gender invest. All of those architectures not only beautify the city but also contribute excellent economic values to the district’s development and have strategic importance on economy, society and culture. Urban areas are concentration of important headquarters, banks and businesses. They are at convenient transportation location and near lifeline roads; thus, the district is regarded as new center of the city. Beside high-rise blocks of flats, the urban areas still have villa areas and are divided into plots for sale to those who have demand. Hanoi Riverside Hotel – 4-star hotel, No. 118 Alley 1, Hoang Quoc Viet Street (Riverside Street). These places are very convenient for visitors to visit famous tourist attractions and to travel to Noi Bai International Airport. Besides, there are remarkable common hotels with all mod cons at and good services at lower prices on Tran Thai Tong Street, Nguyen Khanh Toan Street, etc. There are luxury new compound that we would like to introduce to you that is Vinhomes Riverside Long Bien which new urban area in Hanoi. This development is built all high end villas with riverside surroundings, green environment. It located in Long Bien district about 15 minutes driving by car from Cau Giay area via Express way 3. Commercial centers such as Indochina Plaza Hanoi (IPH) or Big C Thang Long attract a lot of attention. The Retail Center at IPH provides the ultimate one-stop shopping, non-stop entertainment complex for IPH residents and the surrounding neighborhood. A dynamic open air central plaza creates a landscaped retreat for the city’s inhabitants, a gathering place for everyday relaxation and special events. The Retail Center at IPH is a unique urban oasis, providing refuge from the vibrant daily clamor of surrounding Hanoi. With approximately 18,000 square meters of prime retail space, the Retail Center at IPH gives visitors a truly international shopping experience. 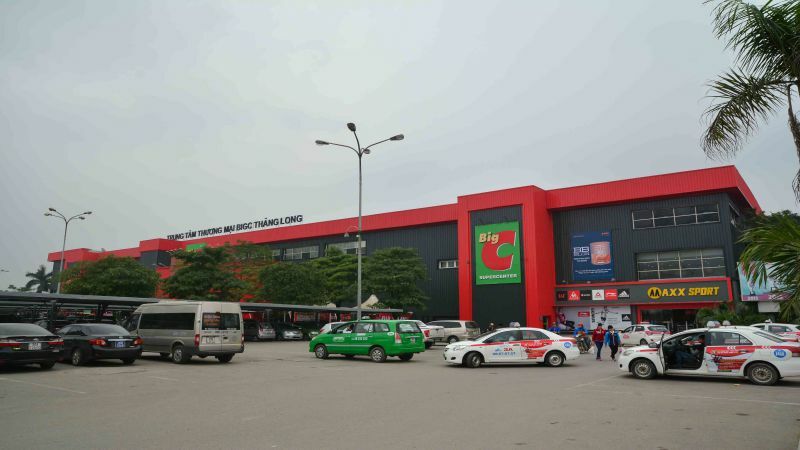 Supermarket system Big C is operated under the form of “Hypermarket” or “Supercenter”, a kind of modern retail business with comfortable space for thousands of high quality and authentic goods along with effective customer service. Big C offers a clean, comfortable shopping environment with a wide assortment of goods available at reasonable prices and provides an outstanding customer service in order to ensure the winning business strategy. Additionally, Big C provides a one-stop shopping experience to customers with a wide range of useful services at all stores. Besides, one of the most active district’s markets is Nha Xanh Market. It has another name “Student Market” because most of prices are suitable with all people, particularly university students, who live far from their home and have low income. There are many parks in Cau Giay to wander and go for a walk in summer afternoons as well as dreamlike autumn days. They are suitable for young people to take an airing, go jogging and enjoy a view; for groups to gather and gossip; for families to ramble together; and for elderly to take a rest. The most outstanding one is Cau Giay Park, which is supposed to be one of freshest and cleanest parks of Hanoi. It is the assembly of many ideal characteristics such as width, beauty, safe, lots of entertainment areas and completely free. Besides, Thu Le Zoo, an old park of Hanoi is also a suitable destination to change the atmosphere, keep pace with nature and contemplate strange and beautiful animals as well as take part in interesting games such as go duck rowing and water balls. There are a lot of historical and cultural monuments in Cau Giay such as Du An pagoda, Hoa Lang Pagoda, Ha Pagoda, Temple of army general Tran Cong Tich, Temple of two Le siblings who assisted King Le Dai Hanh to beat army Tong. Those famous monuments attract many visitors’ attention. Ha pagoda is one of Hanoi’s famous worship spots to which many people come to pray for good chances in love. It was built in post-Le dynasty, on a land of years of a civilization, to the West of Thang Long imperial citadel, now is call Chua Ha Street. Thanh Chua Pagoda in Dich Vong ward is located inside the campus of Hanoi National University of Education. It was built a long time ago and worships Buddhist with an abundance systems of 77 statues including wood and terra-cotta ones, many of which follow 17th-century design. Wood items are red lacquer trimmed with gold and finely sculptured. Besides, Cot Pagoda located at 188 Yen Hoa street, Yen Hoa ward which was built before 1642 is also a noteworthy one. 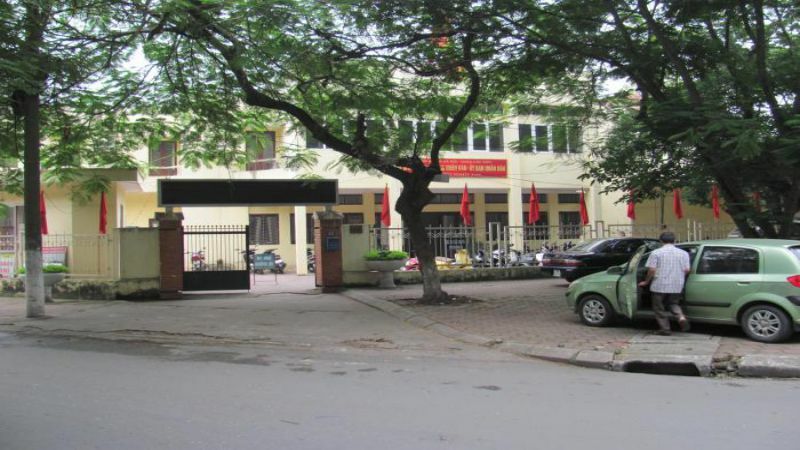 In addition to works bearing the hallmark of time and spirit, Cau Giay district also does have other attractions such as Vietnam Museum of Ethnology on Nguyen Van Huyen Street, 8 kilometers to the center of Hanoi. Since it was built in 1997, the museum has become an attractive destination to visitors home and aboard because of simple exhibits reflecting all aspects of tangible and intangible culture, typical characters in daily life and creativity of Vietnamese ethnic groups. Traditional trade villages are also cultural beauty of the district. Cau Giay is the concentration of many trade villages such as Nghia Do Village (chromatography paper), Cot Village (Tissue paper, made from bark of a thymelacaceous plant; paper fan), Vong Village (Com, a traditional dish made of green sticky rice) and Gian Village (incense). In Cau Giau district, there is an enormous cultural valuable present called “Com lang Vong”. “Banh Com lang Vong”, an ancient dish, with a verdant cover, an yellow bean core and a typical aroma of green sticky rice often appears in betrothal ceremony. Although Cau Giay is not Hanoi’s heaven of cuisine, it is not difficult to find out elegant restaurants here. If you are addicted to snack, Nghia Tan will be your ideal destination. It is considered as one of the best cuisine areas of Cau Giay with suitable prices. Hanoi’s specialties are also presented at all corners of Cau Giay including Pho(noodle soup), Bun dau, Banh mi (bread), etc. You can see all delicious dishes at vendors on the pavement or in expensive restaurants such as Pho Ly Quoc Su, Sen restaurant, Mr. Dakgalbi, etc. Nowadays, the main means of transportation of the district are motorbike, car and bus. Buses are arranged for the most convenience to serve the citizens and visitors, partly because Cau Giay district is home of big universities such as Vietnam National University, Hanoi; Hanoi National University of Education; Academy of Journalism and Communication; Military Technical Academy and so on; thus bus provides the main transportation for the students. Besides, several firms of taxis are always available to drive passengers around the city, to the airport, and to other provinces. 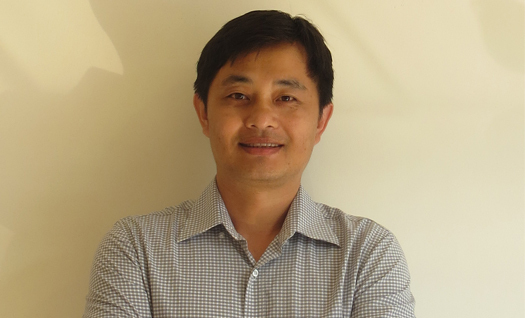 Cau Giay’s transportation is being upgraded to meet the increasing demand for all people. 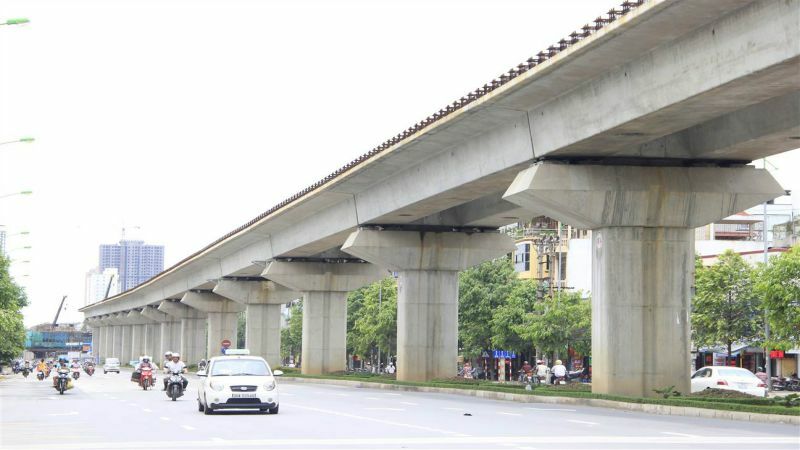 Especially, the electric elevated railway being constructed in the center of the district is considered as the first “metro” of Vietnam. The promising Line 3(Nhon - Hanoi - Hoang Mai, 21 kilometers) of Hanoi metro rail system is being constructed and expected to complete in 2018; which could provide transportation to 200,000 passengers a day.